Both Lease & Rentals Include All Service and Toner! Not all copier leasing offers are the same! You deserve the very best of them, one which gives you your money’s worth through a premium-class copier that will never give you a headache. Clear Choice is the trusted company you’re looking for. We offer the world’s top copier brands at amazingly low costs and supports it with the best maintenance service. Clear Choice Technical Services is one of the leading service providers in the US. We have more than 20 years of solid experience in equipment repair and maintenance. With more than 60 service locations in the country, our company is powered by more than 6,000 highly-skilled technicians who answer service calls fast and solve equipment troubles in no time. Nowadays, many businesses, offices, and educational institutions opt to lease copier machines. Equipped with knowledge of projected business expenses, it makes financial management easier for these entities. With Clear Choice Technical Services, more savings and advantages are gained by people and companies who trust us. 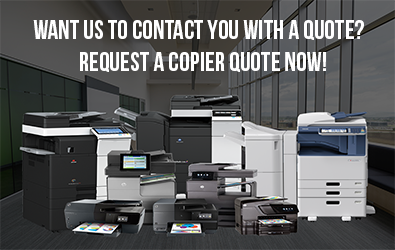 We provide them with choices from the world’s most trusted copier brands — coupled with best price guarantee for all of our copier leasing and rental offers! No large upfront payment is required! Payment options are low and flexible. Moreover, it’s easy to get a copier upgrade. This will give you continuing opportunity to use the latest advancements in copier technology without purchasing a new machine. Our copier leasing comes with a maintenance agreement that includes labor, parts, and consumables in one great package. No additional costs will ever be charged, and all of your needs are answered promptly. With our copier rental, our company makes it even more convenient for your business! No contract for any short-term copier need! 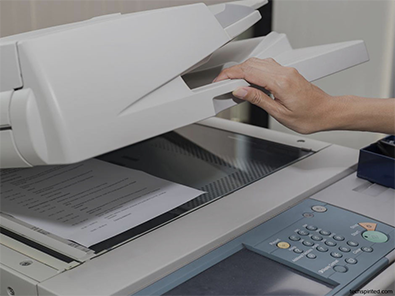 You may require a copy machine for just a number of days or weeks, and we’re ready to provide you with the most efficient machine along with its toner and expert technical support. Preventive maintenance can save you a lot of money, especially when it’s rendered by an expert company like Clear Choice Technical Services. We prevent equipment malfunction and breakdown that cause serious losses to offices and businesses. What makes our services more trustworthy is that they come with full warranty! Get every document management system and solutions you need from our One-Stop-Shop! Call Clear Choice Technical Services at (505) 226-7177 and get the best quote today! Don’t Miss Our Latest Promos. Subscribe Our Newsletter Now! Copyright © 2019. Copier Lease Specialist. All Rights Reserved. Your Name* Company Name* Email Address* How Many Networked Printers Does Your Company Have? * How Many Copiers Does Your Company Have? * How Many Cases of Paper Would Your Company Purchase in a Year? * Please leave this field empty. I am interested in * Copiers Printers How many copiers are you interested in? * Just 1 2 or more Color interest * Black and White Both Not sure Copy Speed * ---Not sureLow Speed (10-20 copies/min)Medium Speed (20-30 copies/min)High Speed (30-50 copies/min)Very High Speed (50+ copies/min) Average Monthly Volume * ---Low Volume (Less than 3,000 copies/month)Medium Volume (3,000 - 10,000 copies/month)High Volume (10,000 - 30,000 copies/month)Very High Volume (30,000+ copies/volume) What types of paper do you need your copier to handle? * ---Letter (8.5 x 11)Legal (8.5 x 14)Ledger ( 11 x 17 )Cover stockOther Purchasing Time Frame * ASAP In Two Weeks In One Month Other Do you need Fax Capability? * Yes No Additional Feature * Account Codes Duplex Printing Sorter Staple Not Sure Other What is your Budget? * ---$1,000 - $2,999$3,000 - $4,999$5,000 - $9,999$10,000 - $14,999$15,000 - $19,999$20,000NA Additional Requirements: Name:* Email:* Job Title:* Company Name:* Phone Number:* Industry you work in:* Street Address:* City:* State:* Zip Code* Please leave this field empty.